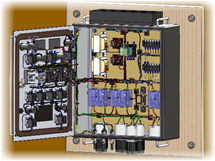 Home > SOLIDWORKS > SOLIDWORKS Electrical – The Future is Bright!! As a designer in industry and as a software consultant I have seen the product mature from its infant state in 2012 to the robust design tool that we have today. During this period of time SOLIDWORKS Electrical has seen several major improvements which have given users the tools they needed to be more efficient and to get their products to market faster. This was accomplished both by user feedback as well as a good team of developers. 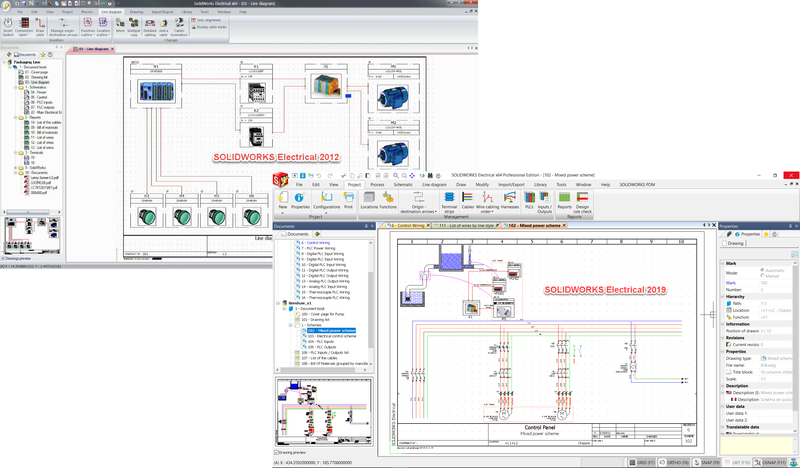 With all of the enhancements mentioned above and with the standard out of the box tools SOLIDWORKS Electrical has continued to grow to become a leader in ECAD software. While I have been impressed with the enhancements that we have seen I must say that I have never been as excited about the future of this product then I am today. With Dassault Systemes recent acquisition of Trace Software’s elecworks assets, SOLIDWORKS Electrical is poised to grow at a rate like never before. As part of the acquisition DASSAULT SYSTEMES will acquire 100 percent of the Trace Software elecworks electrical design and automation product line as well as all intellectual property. An elecworks team of 21 software developers, technical support engineers and quality assurance engineers dedicated to electrical schematics will be joining DASSAULT SYSTEMES. This all but proves DASSAULT SYSTEMES commitment to providing a best in class electrical design tool that fully integrates into the SOLIDWORKS ecosystem, giving you the tools you need to succeed in today’s demanding market. I hope that you are as excited about the future of this product as I am. The future is definitely bright for SOLIDWORKS Electrical and with the help of you, the user, we can continue to push the limits of electrical design. We will be hosting webinars on April 25th and May 2nd where I will presenting in more detail the enhancements mentioned above. We will also be presenting on Electrical implementation best practices during this webinar. To register for this webinar click here. If you are interested in learning more about SOLIDWORKS Electrical, The SOLIDWORKS ECAD Solutions Technical Team is holding two (2) distinct mini-series webinars. One mini-series is for SOLIDWORKS Electrical, and the other mini-series is for SOLIDWORKS PCB. We are going to breakdown these tools over the course of three (3) consecutive webinars for each tool – diving deeper into the software, showing where you can gain value and make you and your team’s collaborative experience even better. In addition, we will have several subject matter experts involved during each webinar and are available to answer your questions and show potential solutions live during the webinar. To register for all three sessions, click here. Session 1 – Project Creation – Who owns the Hole? Originally post in the SOLIDWORKS Blog.